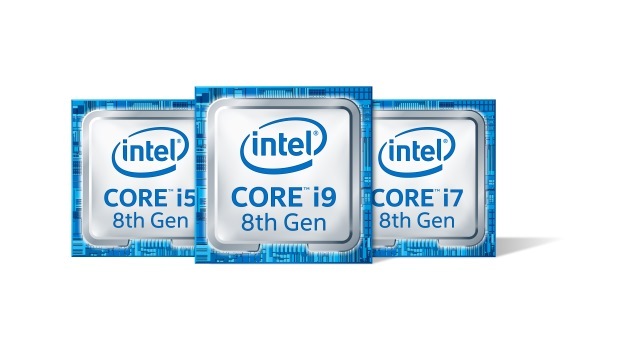 In Bejing today, Intel revealed its first mobile Core i9 chip. The hexacore processor (yep... no fewer than six cores) is an eighth-generation chip, and the company says it is "the highest-performance laptop processor Intel has ever built". Intel also claims that it offers the "best gaming and content creation experience on the go," and with the top-of-the-range Intel Core i9-8950HK processor reaching speeds of up to 4.8 GHz, it's a claim that's easy to believe. A total of 12 threads bring serious improvements over the previous generation chips. It is the first mobile Intel processor with six cores and 12 threads. It comes fully unlocked and features the new Intel Thermal Velocity Boost (TVB), which opportunistically and automatically increases clock frequency up to 200 MHz if the processor temperature is low enough and turbo power budget is available. This translates to a turbo frequency of up to 4.8 GHz. Also announced was Intel Optane memory support on eighth-generation mobile and desktop chips, and there's a new badge available to indicate systems that include both a new processor and Optane memory.